For all the magical experiences that it offers, Shillong is nature’s adorable paradise. The subdued city in the northeast flourishes and continues to enchant people. Peeping from the world of fluffy clouds and mist-laden jungles are the rustic trails that make trekking in Shillong an absolutely thrilling affair. While you walk across the scenic outdoors of Shillong, it’s the enormous surroundings that leave you spellbound. Not too far from the town market, there are a few exciting villages in the Khasi and Jaintia Hills, caves under the ground, and few other trails on the road leading to Cherapunji. 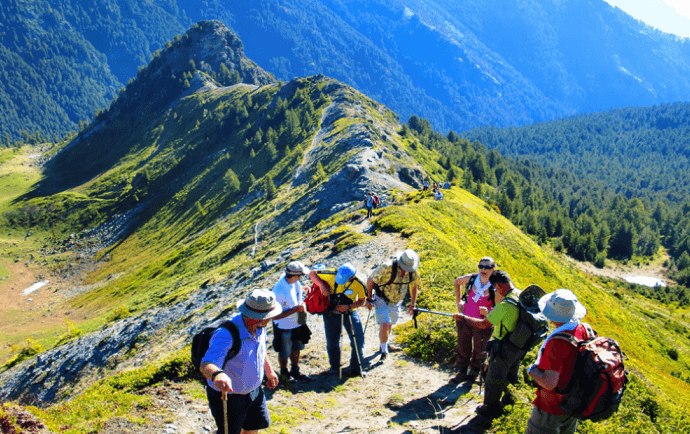 As you set out to explore the wild and the gorgeous beauty makes sure that you manage to walk those tricky trails. The villagers in this part of the country are welcoming and receptive towards the travelers. Make sure that you walk these exciting trails as you prepare to go trekking in Shillong! 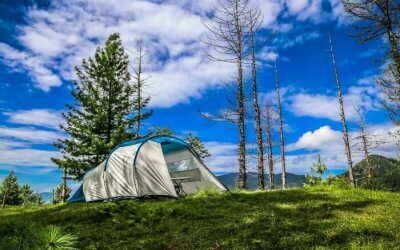 Here are the 6 most popular trails for trekking as well as camping in Shillong. 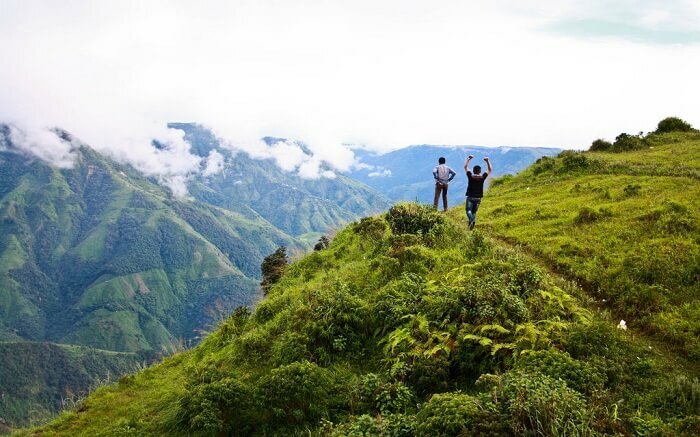 Lush greenery and sublime views define David Scott’s trail – one of the most popular trails for trekking in Shillong. This route apart from being a historic one is grueling as well as enchanting, hence it offers a perfect opportunity for everyone willing to explore the lush green surroundings of Shillong. 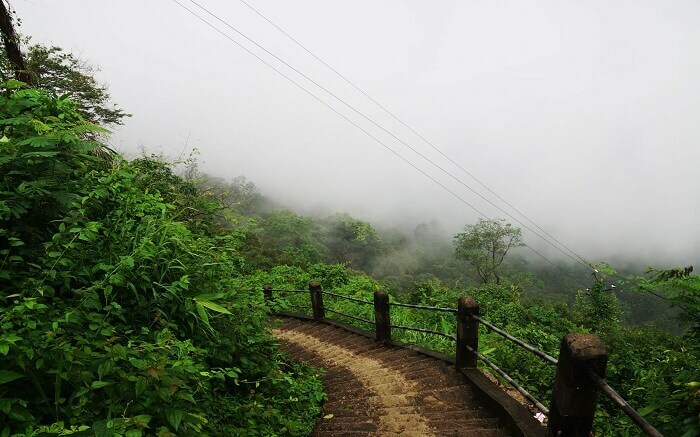 At 4892 feet, the David Scott trail is certainly a daunting one in the Shillong region. Overall the trek spans 16 km and takes 4-5 km to complete. 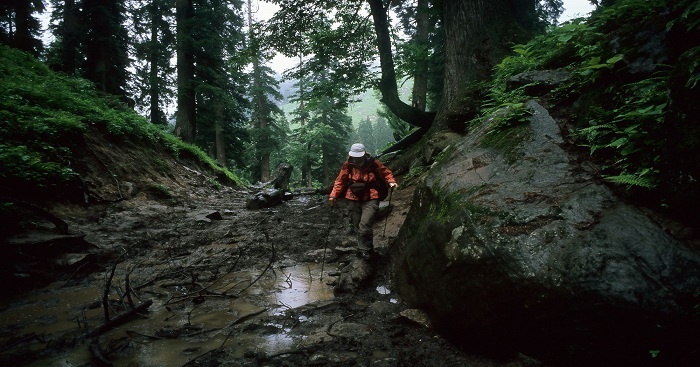 Over the course of the trail, you’d realize that it transforms from easy to moderate in difficulty level. You begin with a gradual downslope for 1 hour and followed by a flat walk for 2-3 hours, and further 1 hour upslope towards the end. The famous trek route, which also happened to be controversial at one point in time, stretches from Cherrapunji to Bangladesh. 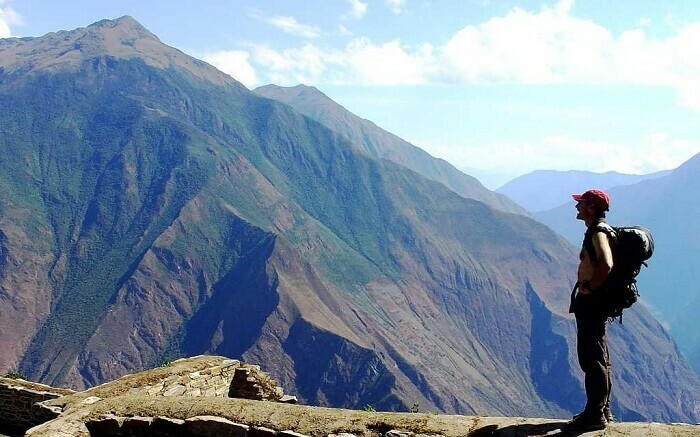 The trek stretches from Mawphlang to Lad Mwphlang. Both the places are easily reachable from Shillong main town area. If you start from Mawphlang things become more simple and most part of the journey is a descending trail. If by chance you happen to lose your way, the locals in the region would surely help you make it to the correct path. Head to the north of the village and you are already on the right course. Watch out for the water points en route. Walking the limestone caving trail is another exciting part of your journey to the abode of clouds. The vast labyrinth of the Khasi and Jaintia hills are the keepers of infinite surprises. 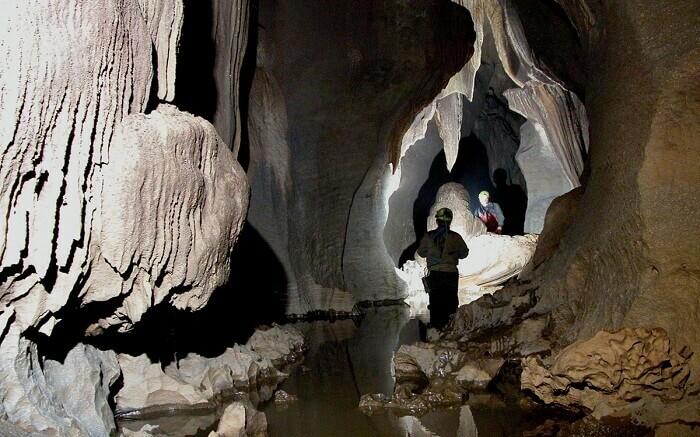 Amidst all the surprises, lie the Krem Mawsmai, Krem Mawmluh, and Krem Umshyrpi limestone caves. Believed to be one of the longest in the Indian subcontinent, these caves exhibit strange formations by nature that are incredibly outstanding. The limestone caves go 40 feet deep into the ground and can be covered on foot. Walk through the photogenic interiors, these caves make for a wonderful trail in the hilly region of Shillong. This is one of a kind experience that makes will surely tend to your fantasy of trekking in Shillong. Trek to the double-decker living root bridge in Tyrna Village is another adventure quest tailor-made for all the adventure seekers. 2.5 hours drive (65 km) from Shillong will take you to the village from where the trail to the exciting bridge starts. Also, Tyrna is located some 27 km from Cherrapunji, another important town near Shillong from where you can easily reach. The trek to the bridge is 7 km into the forests. 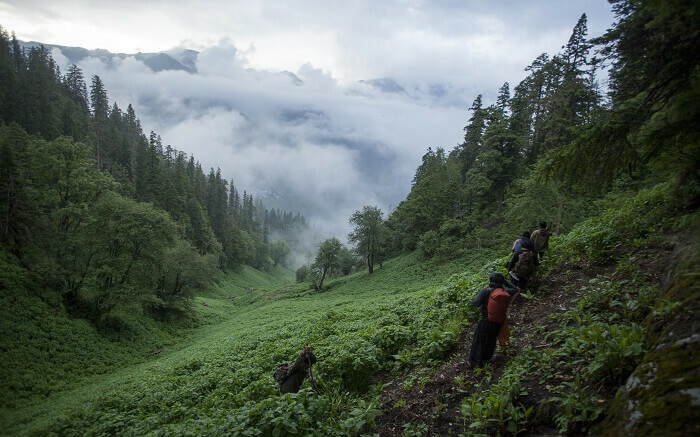 You won’t necessarily need the help of guides and porters because most of the path in the trail is cemented and comfortable to walk on. 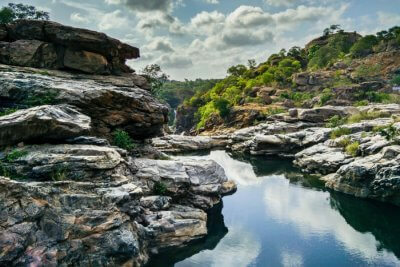 This part of the country is so lush and sprawling green, hence a trek here can be planned except for the monsoon season. From Cherrapunji, Mawsmai caves and Noh Ka Likai falls are located at a distance of 5 km and 6 km respectively. So these places can be covered with double-decker bridge. 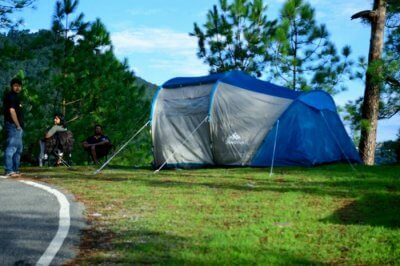 Smit trek is one of the scenic experiences that you can go for if you are planning a trekking in Shillong. The trek starts from State Library and takes to the Crinoline Falls, it reaches Laitkor. The path is mostly elevated towards the end of the trek. The entire trek can be easily covered in 2 days. Walking on the trail isn’t much tough because there is the metalled road mostly. Mawlyngot is a picturesque village in the East Khasi Hills and an ideal place to spend a remarkable day out trekking in Shillong. Mawlyngot, a popular village with better road connectivity, is neatly tucked in nature’s embrace at an altitude of 4800 feet some 40 km from Shillong main town. The trail starts from the village itself which goes through a lot of ups and downs until it makes its way to the Singsong gorge located along the Um Song river. After crossing Um Song the trial ascends suddenly as continues till it leads to Pynursla town. 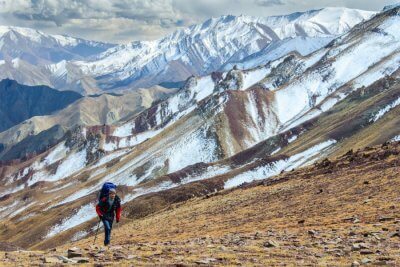 Um Song to Pynursla is another wonderful trek which looks fascinating! This trek can be clubbed with Mawlyngot trek and turn the trek into one memorable journey in the northeast. A wonderful mix of thick forest and majestic nature can be seen all around as you walk this scenic trail. The locals in the village are quite helping and they are always there to help guide you through the correct route in case you find yourself lost. 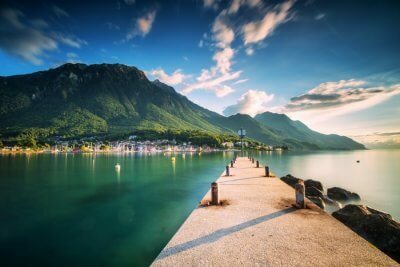 Weiloi village trail is popular among nature enthusiasts because of the fact that it encompasses some of the most scenic natural attractions en route. The village can be reached easily by car/bus from Shillong. As you begin the trek from the village the fascinating escapes including two natural mineral water springs make for a grand spectacle and a refreshing breakpoint for all the hikers. As you reach Weiloi Village, you can also take up another shorter and less exhausting route via Mawblang. With a few canopies and scenic bridges en route, Weiloi to Umngi makes for an exciting trail to go trekking in Shillong. 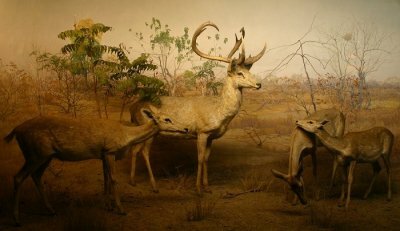 This trip is all about an eventful nature walk and can be pulled off during the daytime. The capital city of Meghalaya is a surreal place endowed with incomparable beauty! Let trekking in Shillong be your excuse to explore the enchanting outdoors of Shillong.